Mumbai Indians players have not played through injuries in the Indian Premier League, coach Robin Singh said in a thinly-veiled reference to the Gautam Gambhir injury controversy. "As far as I know, in our team, no one has done that. I can't really answer that question," Singh said. Despite carrying injury, Kolkata Knight Riders skipper Gambhir played the eliminator against Mumbai Indians and the move has now snowballed into a major controversy, sparking a debate on whether players are more keen to play in cash-rich events like IPL rather than the country. Singh said the outcome of the must-win second qualifier match against Royal Challengers Bangalore will depend on how his boys execute the plans. "Obviously, we have thought about how we want to go about things. We have our own plans ready for what we would like to do. The important thing is to be able to execute those plans. "It's obviously a knockout game. 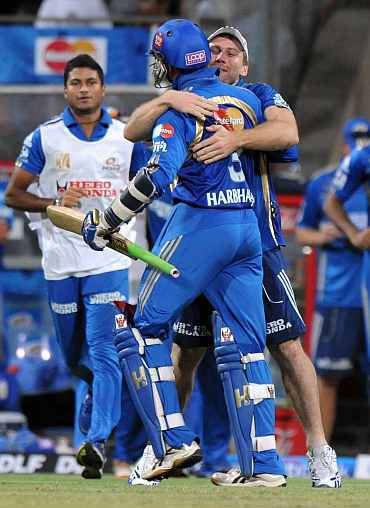 We have done pretty well against RCB. The few outings we have had in the past, we have beaten them. This is a fresh game. We have to start from scratch. We have to refocus and regroup," Singh told reporters. The former India left-hander is also aware of the threat Chris Gayle poses. "You can't ignore the fact that Gayle is in terrific form, and similarly with most of our bowlers, we have been bowling exceptionally well. You have to back yourself to bowl well against anyone." Singh is also hoping to see Keiron Pollard in full flow. "I think it's a plus at the moment. He has not done much, we hope he will do something special. A lot of other players are taking the lead, which is a big plus for us. Obviously, he has not been at his best. I am pretty sure he is a danger to any team," Singh said. 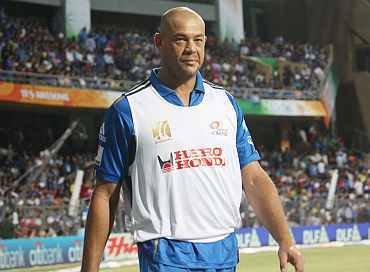 About Andrew Symonds the coach said the burly Australian has performed whenever the team needed. "The first half of the tournament, we did exceptionally well, he hardly got to bat. When he did, Symonds played exceptionally well. But our requirement was an opener." Singh made it clear that the team has its eyes trained on the IPL final and not a Champions League berth. "Most people are looking forward to playing the final rather than the Champions League. We are not too bothered about the CL. We want to focus on the game and if we can get through that game, we will focus on the next game." Singh said the playing XI for the match will depend on the surface. "You have to look at the wicket. We have to see what is the best combination to play against RCB. Then you have to look at the surface. Then you have to look at who have been our best bowlers. We will decide who we would like to play," he said. According to Singh, Mumbai could have won the eliminator against Kolkata with ease. "Rohit (Sharma) got run out, (Ambati) Rayudu was not a great decision and similarly with Pollard. If that didn't happen, we would probably have won with five overs to spare."